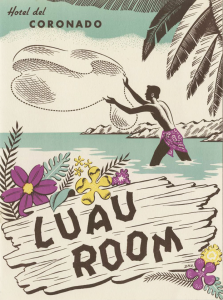 The Luau Room was a staple at The Del from 1949 through 1969. 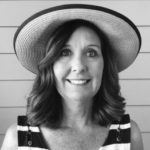 I have discovered that a love of history and good food are integral to the Coronado community. So when I heard that the Hotel Del was re-imagining the former 1500 Ocean restaurant for the future, it made me wonder about the original roots of the space. In the early 1900s, it was a ladies restaurant, and part sitting area and bowling lanes, where the spa is today. You can almost imagine the regal dress of the women dining there. By 1923, it was the Silver Grill, which was only open during the winter season and featured weekly dinner dances. 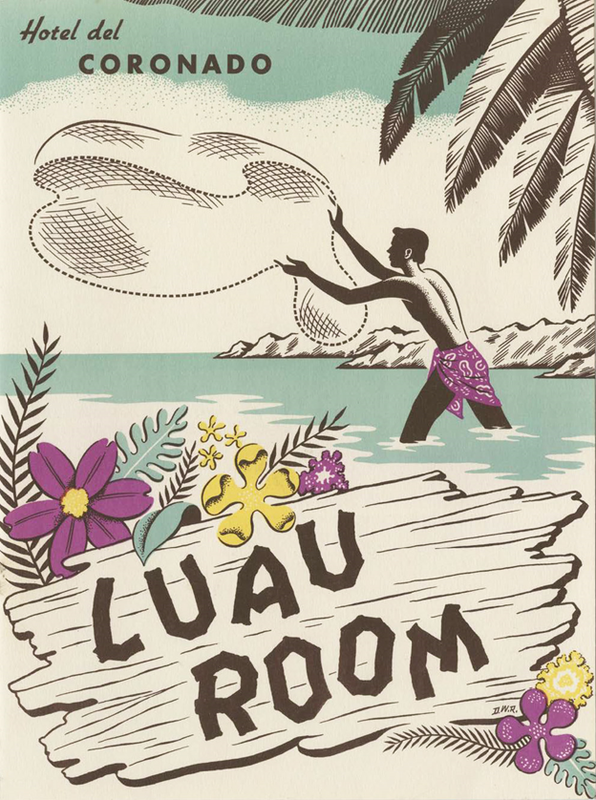 It was replaced by a cocktail lounge and beauty shop in the late 1930s, and was then given the Hawaiian vibe from 1949 through 1969 as the Luau Room resplendent with a tiki bar, waterfall, and thatched walls featuring a Polynesian menu. 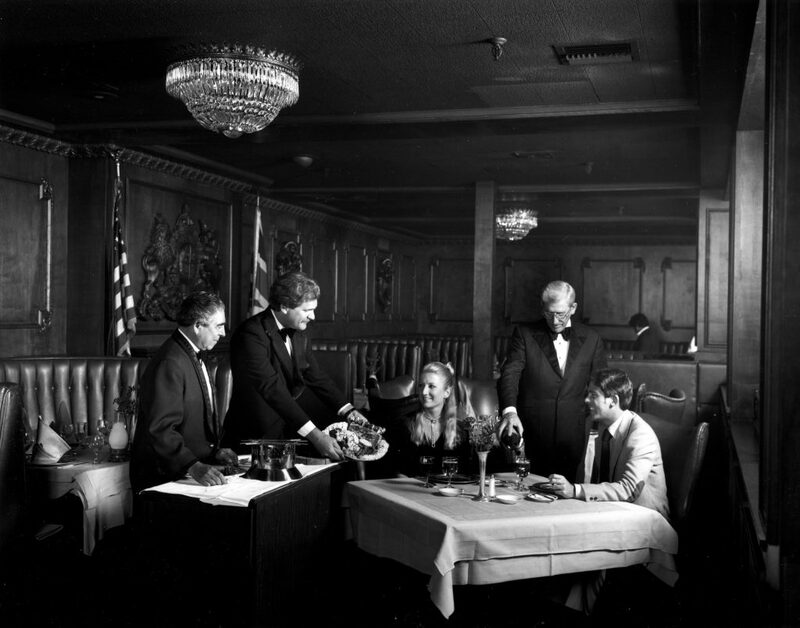 The Prince of Wales Grille had old world ambiance before it was transformed into 1500 Ocean. 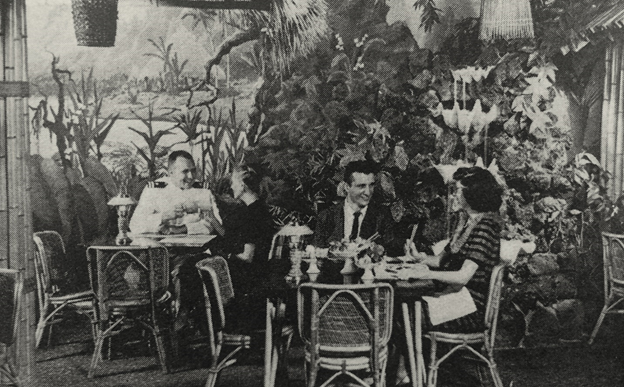 Many people remember The Prince of Wales Grille, which received a famous endorsement from its namesake, “The Duchess who knows the hotel and I have studied the Grille Room menu voraciously and would like to congratulate the hotel Chef on his choice of the succulent fare he offers.” The space was given a top-to-bottom update in 1995, highlighting a romantic candlelight ambiance with spectacular ocean views. Then came the iconic 1500 Ocean restaurant, which made its debut 13 years ago, with award-winning coastal cuisine, featuring intimate booths and amazing outdoor veranda dining, but whose time has now come to an end. JoJo Ruiz, Executive Chief, Clique Hospitality, is at the helm of this new concept, and he says, “In San Diego we have such incredible access to some of the best seafood, produce and meats in the country, and I look forward to being able to present the highest quality products of the region in fresh, elevated and inspired ways with the menu at Serẽa. 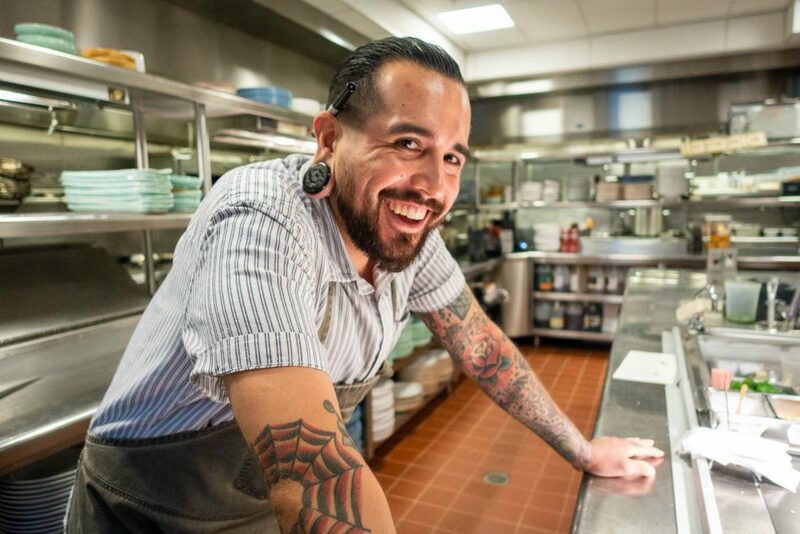 We’re going to let the beauty of the ingredients do the talking and there really is no better setting in San Diego for us to do that.” The planned menu will feature raw and cooked options, from fresh whole catch, to seafood towers and composed dishes. The new indoor/outdoor bar will serve as the restaurant’s focal point and will highlight specialty cocktails, local brews, and a well-curated, eclectic wine list. The seafood will be sourced from a variety of local and regional purveyors including Tuna Harbor Dockside Market; Catalina Offshore Products; Los Angeles based Superior Seafoods and Baja California’s Pacifico Aquaculture, which has created an innovative sustainability-first farming program for premium, ocean-raised sea bass. Special attention will also be given to all meats on the menu, which will come from regional ranchers known for the most tender and flavorful products. Clique Hospitality operates dining and entertainment venues in San Diego and Las Vegas, including The Pendry San Diego Hotel and Cosmopolitan Las Vegas, along with other projects. “We couldn’t be more delighted to embark on the next chapter at The Del, including our partnership with Clique Hospitality and Serẽa,” said Harold Rapoza, Jr., general manager of Hotel del Coronado. “Clique’s desire to create unforgettable experiences aligns so well with what we have created at this iconic property. We look forward to continuing to offer new and compelling culinary experiences that are relevant to today’s sophisticated diners and evolving our dining experiences.” It is the first of several dining destinations at The Del that will undergo transformation over the next three years.